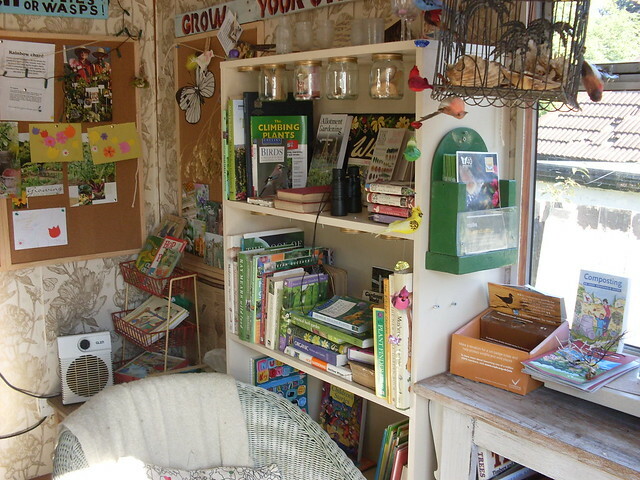 There are lots of books about permaculture, from beginner's guides to in-depth manuals. But which one to choose and why so? This brief overview provides some details of the top 10 permaculture books as voted for by Permaculture Association Diploma in Applied Permaculture Design apprentices. Do get in touch if you agree or disagree with any of the choices and/or if the information here has been helpful in choosing your first or next permaculture publication! 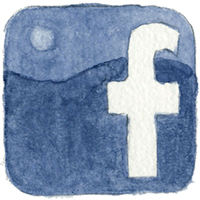 Read on for summaries and more. Books aren't the only way to learn about permaculture - see what events are coming soon, and what courses are running. 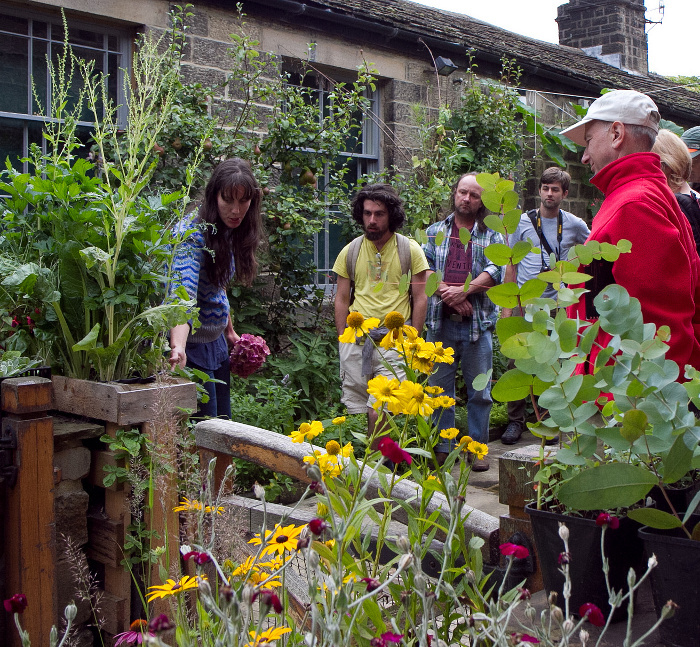 Joining the Permaculture Association (from just £3 a month!) 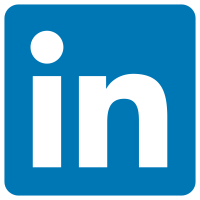 offers opportunities to learn - join thousands of others working towards the redesign of our society, bringing it back in harmony with nature. Book summary: This is the complete permaculture book, bursting with useful information, photos, diagrams, tables and plant lists. It is the first major permaculture book from outside Australia, written specifically for British conditions and highly relevant for other temperate countries. It is an exploration of permaculture specifically for cooler Northern Hemisphere climates is finally here! Already regarded as the definitive book on the subject, The Earth Care Manual is accessible to the curious novice as much as it is essential for the knowledgeable practitioner. Especially recommended for: those interested in an extended insight into the principles and practice of permaculture principles, with a key focus on a UK setting. Book summary: Whether you are aged 12 or 120, this concise yet information rich graphic guide provides the answers, and will encourage you to apply the ethics and principles of sustainability and working with, rather than against, nature to your land (whether it’s a windowbox or a 1000 hectare farm), your community and your life. It’s a nice 76-page introductory look a permaculture — a very readable booklet to get you looking at the world, and your garden, through the permaculture lens. It’s in no way a substantial, technical how-to type manual, but rather a good inspirational dose of permaculture principles with a broad smattering of practical examples of how to apply them. In short, it’s a great tool to get one started on the permaculture pathway. Find out: What is permaculture? Why do we need permaculture? What are permaculture ethics and the principles of working with nature’s patterns? What are the Basics of the permaculture design process? What are concepts such as Zones, sectors, edge, stacking and succession, and how they can work for us? How can you use permaculture practically in your life, home, garden, land or community, whatever your situation? Plus Practical tips, including; reading your land, saving energy, year round food from your garden and how to use your weeds…. Especially recommended for: beginners, and those who are particularly interested in a vegan perspective (the author is vegan and focuses on the vegan understanding/ application of permaculture). Buy copies of this book direct from the author. Book summary: Are you excited about permaculture but unclear how to put it into practice for yourself? 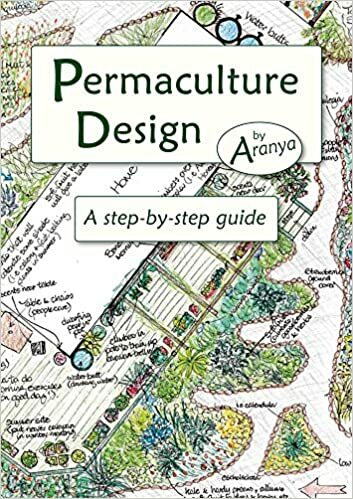 In this unique, full colour guide, experienced permaculture teacher Aranya leads you through the design process from beginning to end, using clear explanations, flowcharts and diagrams. It is based on course worksheets which have been designed, refined and tested on students over time. Linking theory to practice, he places the ethics, principles, philosophies, tools and techniques directly into the context of the process itself. While written for anyone with a basic grasp of permaculture, this book also has plenty to offer the more experienced designer. This guide covers: Systems and patterns ~ Working as part of a design team ~ Land and non-land based design ~ Design frameworks ~ Site surveying and map making ~ Interviewing clients ~ Working with large client groups ~ Identifying functions ~ Choosing systems and elements ~ Placement and integration ~ Creating a design proposal ~ Project management ~ Presenting your ideas to clients ~ and much more. 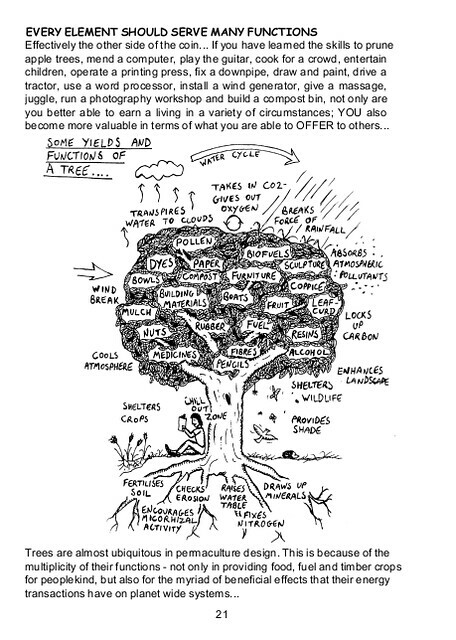 A great reference for anyone who has done, or is thinking of doing, any kind of permaculture course. Especially recommended for: those who are already familiar with the ideas and basics of permaculture and now keen to get some specific and practical guidance into how to apply this into practice. Book summary: This is the first book to explore how to use permaculture design and principles for people - to restore personal, social and planetary well-being. People & Permaculture widens the definition of permaculture from being mainly about land-based systems to include our own lives, relationships and society. This book provides a framework to help each of us improve our ability to care for ourselves, our friends, families and for the Earth. 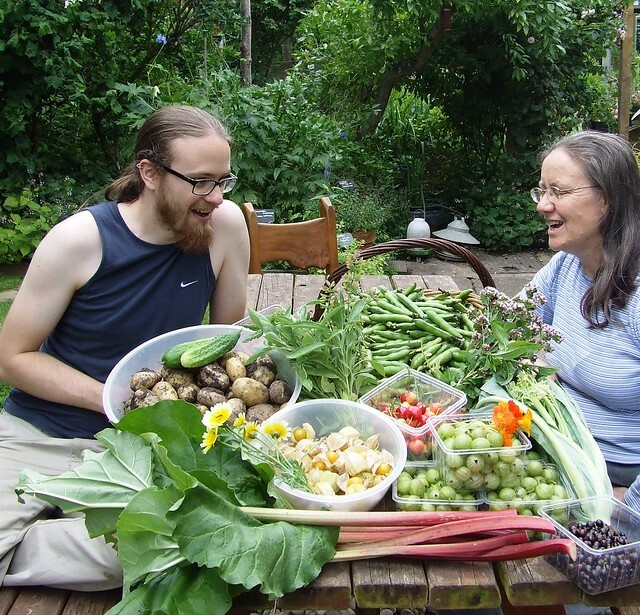 It is also a clear guide for those who may be new to permaculture, who may not even have a garden, but who wish to be involved in making changes to their lives and living more creative, low carbon lives. 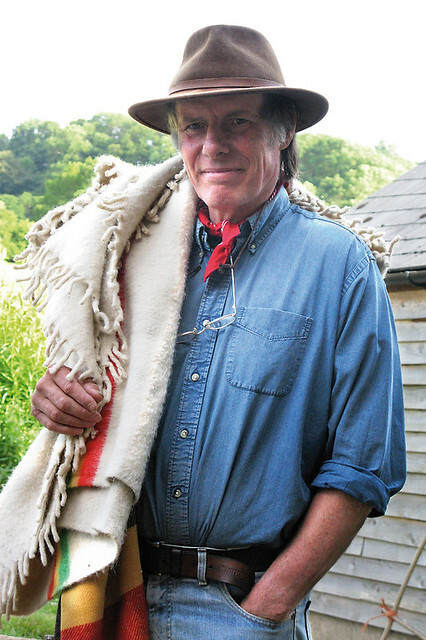 People & Permaculture transforms the context of permaculture making it relevant to everyone. Part 1 - provides a detailed introduction to permaculture design and principles as applied to people. Part 2 - looks at the tools and techniques we can use in our own lives; how we can transform our internal landscape, enhance our well-being and be at our best. Part 3 - investigates ways of creating harmony in our relationships and groups, through our communication and decision making. 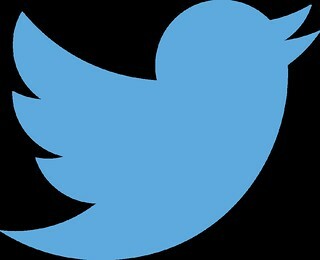 Part 4 - explores a wider vision for our social systems, in particular health and education. Part 5 - moves on to explore how to expand our feelings of connection across the globe. Part 6 - focuses on how we can manifest a positive future with the use of a new design framework specifically created for people-based designs. Including over 50 practical activities, People & Permaculture empowers readers with tried and tested tools to initiate positive change in their lives. It is a hands-on yet powerful guide to creating a sustainable world. Especially recommended for: those who are interested in reading about permaculture from a more social angle. Book summary: Holmgren's seminal work, drawing together and integrating 25 years of thinking and teaching to show a whole new way of understanding and action behind a simple set of design principles. Principles and Pathways draws together and integrates 25 years of thinking and teaching to show a whole new way of understanding and action behind a simple set of design principles. Relevant to every aspect of how we reorganise our lives, communities and landscapes to creatively adapt to ecological realities which shape human destiny. Especially recommended for: Essential reading for permaculture designers and accessible to a wide range of critical thinkers. Book summary: Permaculture is the conscious design and maintenance of agriculturally productive ecosystems which have the diversity, stability, and resilience of natural ecosystems. It is the harmonious integration of landscape and people providing their food, energy, shelter, and other material and non-material needs in a sustainable way. Without permanent agriculture there is no possibility of a stable social order. This is still the classic permaculture textbook. Link to extract: Look inside on Amazon. 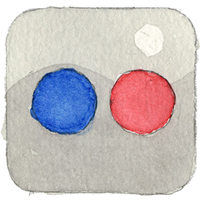 Especially recommended for: generally more advanced users, to avoid feeling overwhelmed. Highly recommended for all diploma apprentices, designers, international practitioners, educators of every kind, in fact just about everyone with a keen interest in permaculture. Book summary: Even the smallest back yard can be transformed into a beautiful and highly productive garden, if you work in harmony with nature. This book shows you how to plan your garden layout for easy access and minimum labour, save money by creating a beautiful garden in recycled containers, use garden crop successions for year-round harvests and healthy soil, choose the best plants for different sites and enjoy the benefits of plant communities. Especially recommended for: those interested in practical application of permaculture. Book summary: Working with nature to grow edible crops. The long-awaited definitive book on forest gardening. Martin takes you step by step through the process of designing, implementing and maintaining a forest garden. Trees, shrubs, perennials, short-lived plants and fungi can all be integrated into one system and this book tells you how to do it. Includes descriptions of many uncommon edible plants suitable for temperate climates. If you want one book on forest gardening then this is the one to get! Especially recommended for: those interested in forest gardening, both in theory and practice. 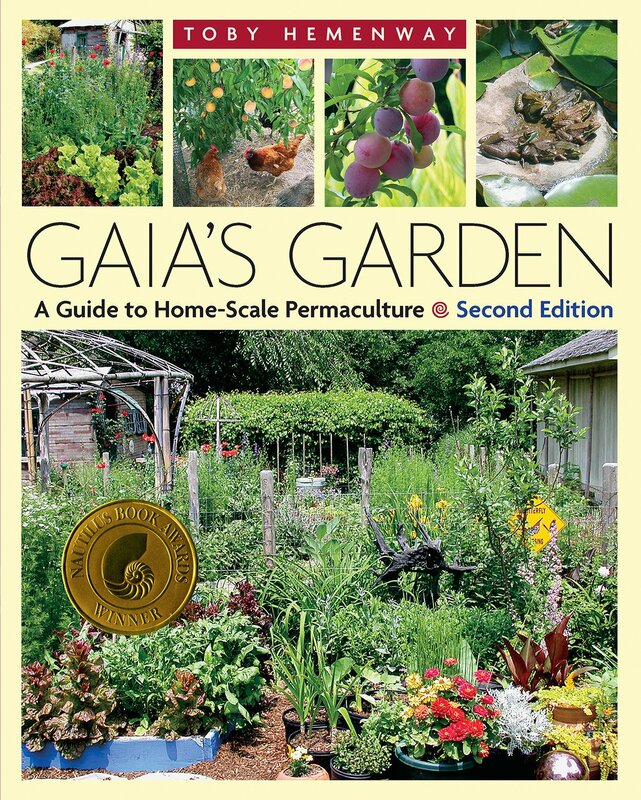 Book summary: The first edition of Gaia s Garden sparked the imagination of America's home gardeners, introducing permaculture s central message: Working with Nature, not against her, results in more beautiful, abundant, and forgiving gardens. This extensively revised and expanded second edition broadens the reach and depth of the permaculture approach for urban and suburban growers. Many people mistakenly think that ecological gardening which involves growing a wide range of edible and other useful plants can take place only on a large, multiacre scale. As Hemenway demonstrates, it s fun and easy to create a backyard ecosystem by assembling communities of plants that can work cooperatively and perform a variety of functions, including: Building and maintaining soil fertility and structure, Catching and conserving water in the landscape, Providing habitat for beneficial insects, birds, and animals, Growing an edible forest that yields seasonal fruits, nuts, and other foods. This revised and updated edition also features a new chapter on urban permaculture, designed especially for people in cities and suburbs who have very limited growing space. Whatever size yard or garden you have to work with, you can apply basic permaculture principles to make it more diverse, more natural, more productive, and more beautiful. Best of all, once it is established, an ecological garden will reduce or eliminate most of the backbreaking work that s needed to maintain the typical lawn and garden. Especially recommended for: those interested in practical application of permaculture principles. Book summary: In this fully revised and expanded edition, Rosemary Morrow brings us up to date with our need to measure, monitor and reduce our ecological footprint. This book is a manual of practical permaculture. Drawing on her years of experience in Australia, Vietnam, Cambodia, India and Africa, the author communicates the essence of permaculture ethics, principles and design with enthusiasm, converting Holmgren and Mollison's rather theoretical concepts to an accessible 'here's how to do it' approach. 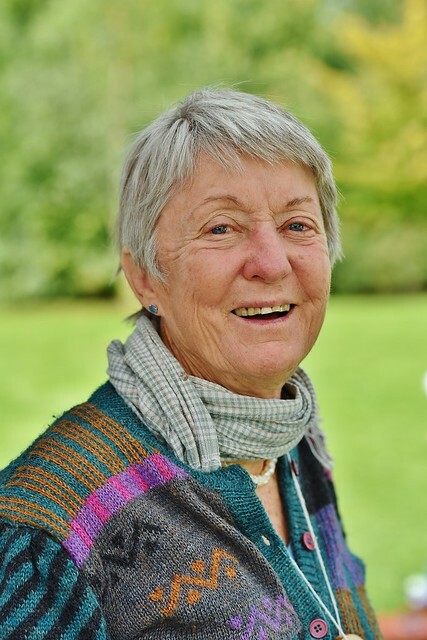 Rosemary Morrow is known and revered worldwide for her pragmatic and effective approach to creating permaculture systems across an incredibly broad range of environments. Rosemary has successfully implemented community-scale permaculture systems in such diverse biospheres as Uganda, Ethiopia, Cambodia, Thailand, the Middle East, Australia, and northern Europe, to name but a few. Her knowledge on how to create abundance, food security, and successful sustainable farming models, no matter what the country, is unparalleled in permaculture education today. Link to extract: None found, sorry. Especially recommended for: those with some existing permaculture knowledge interested in applying it. Described as an essential tool for anyone who wants to get the permaculture message over, this is an excellent guide, illustrating methods for teaching sustainability by 35 leading UK permaculture practitioners. Order your copy. Print copies coming soon! 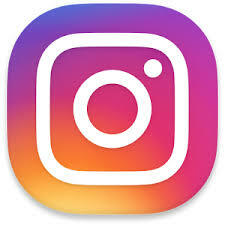 www.childreninpermaculture.com.